Derrick Barnes, an award-winning children’s book author, will visit the Appalachian State University Academy at Middle Fork, located in Walkertown, North Carolina, on Wednesday, March 20, 2019, to celebrate children’s books and children’s writing. The visit is the capstone experience of the Academy’s Young Author’s Week. Barnes is the author of nine children’s books, most recently, the award-winning picture book, CROWN: An Ode To The Fresh Cut. He is also the winner of the 2018 Ezra Jack Keats New Writer Book Award, as well as the recipient of a Coretta Scott King Author Honor Award and a Newbery Honor Award. He resides in Charlotte, North Carolina, with his wife and four sons. Barnes’ positive imagery is why the Academy’s leadership team invited him to visit the school and engage with the students. This event is sponsored by the Uberto Price Endowment for the Reich College of Education Reading Program and the Department of Reading Education and Special Education in Appalachian’s RCOE. For additional information please contact Dr. Beth Frye. Derrick D. Barnes is from Kansas City, MO. He is a graduate of Jackson State University with a BA degree in Marketing. He is the author of the critically acclaimed picture book CROWN: An Ode To The Fresh Cut (Denene Millner Books/Agate Bolden) which won a multitude of literary awards, making it one of the most decorated picture books in the history of children’s literature. The awards/prizes include two 2018 EZRA JACK KEATS AWARDS (one for New Writer and an honor for the magnificent illustrations). It was also a HUGE winner at the American Library Association’s Youth Media Awards, taking home FOUR Honor awards: the Coretta Scott King Author Honor, Coretta Scott King Illustrator Honor, Newberry Honor, and the Caldecott Honor. 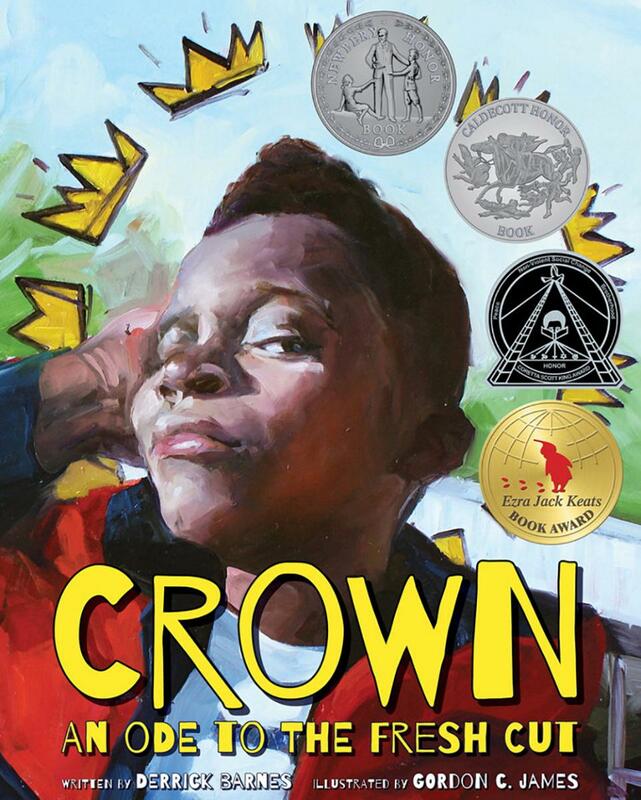 In October of 2018, CROWN also took home the lucrative and highly coveted Kirkus Prize For Young Readers. His first two books were published by Scholastic in 2004; Stop Drop and Chill, and The Low Down Bad Day Blues. His first YA novel, The Making of Dr. Truelove was published by Simon Pulse in 2007 and was recognized by the American Library Association as a Quick Pick For Reluctant Readers. He is also the author of the best selling chapter book series entitled Ruby and the Booker Boys (Scholastic). His 2011 middle-grade hardcover classic We Could Be Brothers was re-released in paperback in 2017 by Just Us Books. Prior to becoming a published author, Derrick wrote best-selling copy for various Hallmark Card lines and was the first African American male staff writer for the company. His next book, entitled The King of Kindergarten, will be published by Nancy Paulsen Books/Penguin in the Spring of 2019. Derrick resides in Charlotte, NC with his enchanting wife, Dr. Tinka Barnes and their four sons, Ezra, Solomon, Silas, and Nnamdi (Nom-dee). The Appalachian State University Academy at Middle Fork, located in Walkertown, North Carolina, serves over 300 K-5 students. The Academy provides a balanced education through the implementation of research-based practices, state of the art literacy instruction, and exemplary classroom instruction and administration. The Department of Reading Education and Special Education offers innovative programs focusing on all facets of reading, writing, language arts and specific areas of special education. The Anderson Reading Clinic provides direct services to children with reading disabilities.